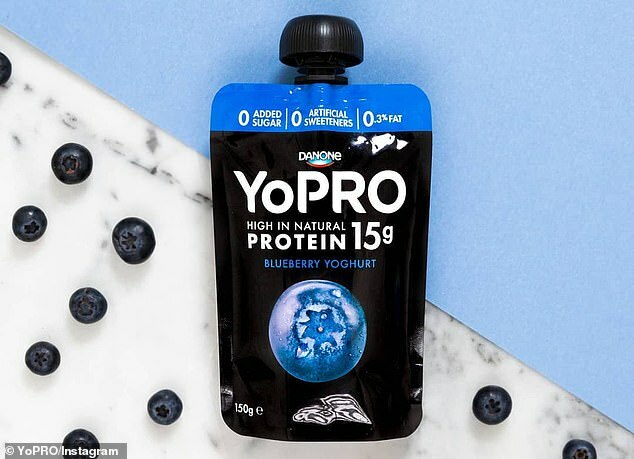 New high protein yoghurt varieties hitting supermarket shelves aren’t just good for gut health, they are also great for those trying to lose weight. According to Australian dietitian Susie Burrell, eating more protein in the morning helps the body to register feelings of fullness, which in turn helps keep hunger at bay. ‘This is fantastic for those trying to control their weight because we know that higher protein diets, specifically those that come with 20 to 30 grams per serve help to regulate your insulin levels which control appetite,’ Susie said on Sunrise. 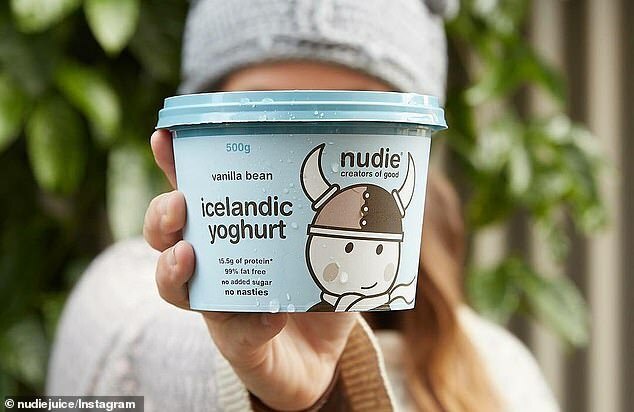 From new protein-packed yoghurt varieties such as Icelandic to those which are the most child-friendly, Susie revealed which high protein yoghurts are best for your health – and the top five to buy at the supermarket. Two varieties of yoghurt Australian shoppers will probably be familiar with are Yo-Pro and Chobani. 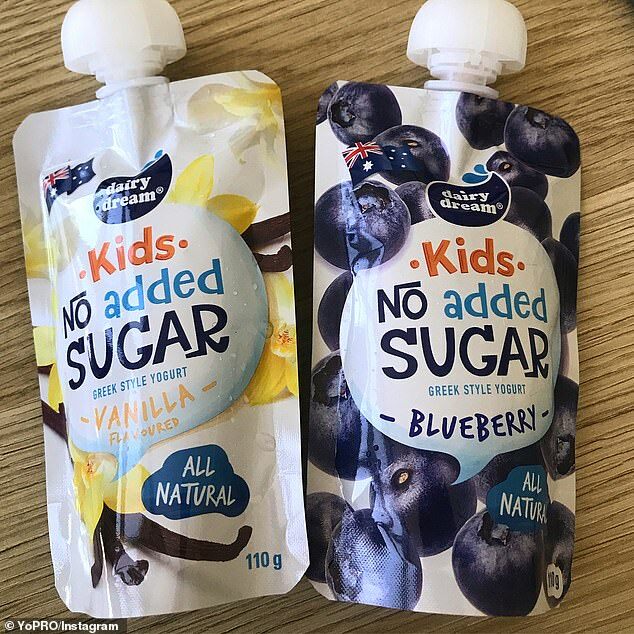 Susie explained both brands now offer concentrated protein versions – and they’ve not had to make the flavours more palatable by adding extra sugar. She said previously when yoghurt manufacturers tried to increase protein, the flavour changed, and to counter this more sugar was added. ‘These fantastic brands have now released several varieties that clearly state no added sugar,’ Susie said on the program. These sorts of yoghurts – although they have health benefits – can be a problem as they can come with significant amounts of sugar, the dietitian said. For those wanting to improve their gut health through eating these sorts of yoghurts, Susie suggests looking for probiotic varieties. 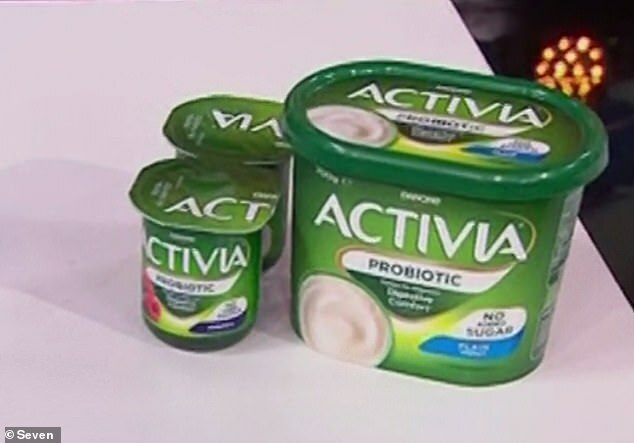 Activia was one brand suggested by the nutritionist as being probiotic, protein-enhanced and containing no extra sugar. These new yoghurt varieties are very good for us because they use specialised culture techniques to increase good bacteria, Susie said. Those likely to be seen on supermarket shelves get Susie’s tick of approval although she does note some can contain up to 17g of sugar. What are Susie Burrell’s top five yoghurts? 1. Chobani Greek Yoghurt: 16g of protein and 6g of natural sugars per tub. 2. Yoplait Bon Appetit Greek Yoghurt: 10g protein, 100 calories and relatively low in sugars for a fruit yoghurt. 3. Black Swan Greek Style Breakfast Yoghurt: High in protein, calcium and with the added benefits of probiotics. 4. Barambah Organics: The natural and Greek varieties are fantastic and even the sweet options are relatively low in sugars. 5. Jalna Greek yoghurts: One of the first Australian companies of pot-set their yoghurts and add probiotics. According to Susie, while adults watching their weight would do well to include high protein yoghurt in their diet, children don’t need high levels of protein. She said when shopping for yoghurt varieties for kids, especially those under ten, it is important to remember to look for varieties which clearly state no added sugar. Susie advised some brands which appear child-friendly can have up to 15g of extra sugar.